Colic is the cramping pain that affects many babies in the first 3 months of their lives. They pull up their little legs, clench their fists, and can cry inconsolably for hours, much to the great distress of their parents who cannot help but feel that something must be terribly wrong but find themselves unable to make it stop! All babies get at least some colic, but if it has become chronic and more serious, then you may well have been to your GP and therefore you may well have been given a prescription for a drug to stop it. I suggest you think very hard about the wisdom of giving a baby a drug like losec, omeprazole, ranitidine, or any other kind of medication that reduces stomach acid because, whilst it may well alleviate the discomfort, especially at first, at what cost? Why do we make something as dangerous sounding as ‘acid’ in our stomachs in the first place? Is it some kind of evolutionary mistake that modern medicine is luckily able to correct? No, not at all. People, and children, and babies, need to make this intensely powerful stuff because that is what it takes to break down proteins into small enough bits that your blood can absorb, and use. Proteins are incredibly important, we use them for everything. Every cell in your body needs proteins to be there in the first place. You need them to rebuild yourself every day from the wear and tear of being alive. If you are a baby, you need them even more; to grow! Messing with what it takes to get the building blocks of your body is a dangerous long-term strategy. I am not anti-drug philosophically, believe it or not, but I am anti antacids. I think that the longer they are used the more harm they can do, but that people don't connect the health problems that come later with the drugs they used to block the stomach acids earlier. The mainstream system recognises the long-term risks of interfering with the natural development of the digestive system in infants and children. Medical journals and Medical Councils give strongly worded advice to only use proton-pump inhibitors, i.e. the drugs that are used for stomach aches in children, for as short a period of time as possible. Sadly, this advice is frequently ignored by a system that is too time-poor to work holistically when the simple prescription of a drug can, seemingly, make the problem go away. If your baby or child is already using these kinds of medications then, even before exploring further matters and how to best treat them as we talk about next, you may need to consider finding an alternative approach that allows them to get off the acid-inhibiting drugs so that their body can start to correct itself with further treatment. 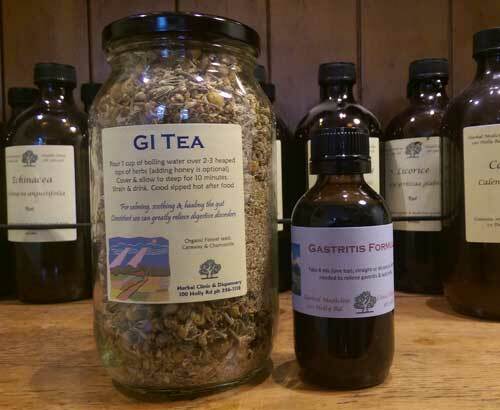 If coming off a drug to stop colic or reflux, for a baby I would give just a few drops of the Gastritis formula, shown below and/or a half tsp or so of the GI tea, frequently throughout the day until they turned a corner on their health. Both these mixtures can safely be given multiple times over a short period with absolutely zero risk of harm. A drop per month until 6 months i.e. 2 drops for two months, 3 drops for 3 months and so on. 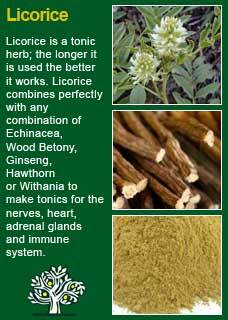 They are truly tiny amounts but a little bit of Licorice, Fennel and Catnip goes a long way. It is no problem to squirt them in straight from a dropper or a syringe. Small amounts are usually very effective, but I wouldn't hesitate to increase the dose of the Gastritis formula or the Colic formula described shortly if needed. 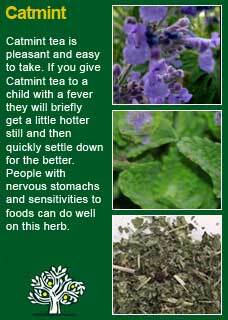 Unlike drugs, these herbs will do no harm to the baby, including if they are in tincture form or if the baby takes some extra water with them in a tea. The best time to give the tinctures is during feeding when there is already some milk in their belly and you can give the tiny dose of herbs and then keep going with more milk. However, they can also safely be given between meals or on an empty stomach as well. The same goes for the tea, Half a tsp is ample for a 3 or4 month old baby, go closer to a tsp once they get to about 4 months. The reason for the name 'more milk tea' is self-explanatory, but it will also go a long way to help the extra milk that is being produced to be more easily digested by the baby and so help them with their colic. 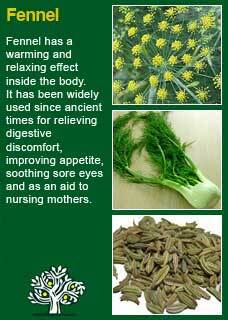 The following are notes from the page on Fennel. I have used this Colic formula, or one similar to it, to good effect for many disturbed little babies who have come in with marked digestive distress, cramping up, and it all becoming just too sore to bear. 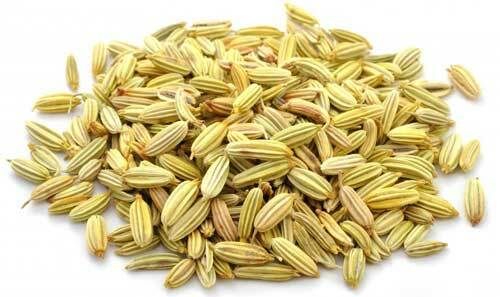 The dose range tends to be a little higher than the Gastritis formula mentioned earlier. Typical doses, by way of example, would be approximately 3-4 drops for a 2-3-month baby. 4-6 drops for a 3 to 4 month-old. 6-8 drops once we get to 4 months and up. The frequency is to take it usually at least 3 or 4 times a day until things have much improved, and it is certainly ok to use more if needed. The parent will probably have most of the formula still left over at the point things have gotten better, whereupon I recommend continue giving the medicine as a single dose once a day until the whole bottle is finished. As you can see, Dandelion root is the main ingredient. 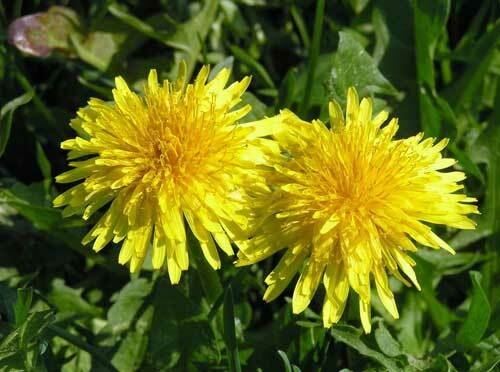 I, and many thousands of herbalists throughout history, have found Dandelion to be a superb herb for children who are struggling with their digestive systems. It is safe, supremely gentle and it consistently helps them to get better, grow and thrive. 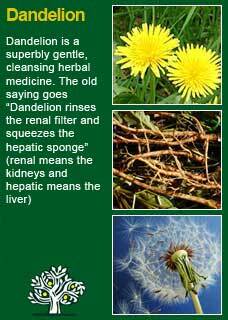 Dandelion improves the health and function of the liver, which in turn helps the little child to better digest and process all these new foods that they are just getting used to. 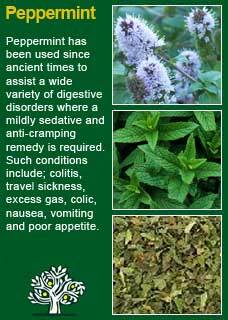 The Fennel, Peppermint & Licorice are some of the best of all 'carminative' herbs. 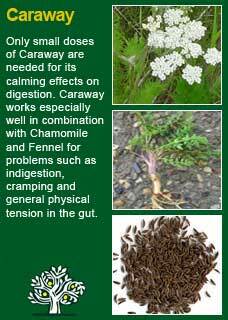 These are the ones that help to calm, relax and settle an agitated, gassy stomach. Belly massage is of much help to aid the fast passage of colic and I think that all parents do this instinctively at least to some extent. Massage gives comfort and will usually help them to release gas and tension, often considerably so. 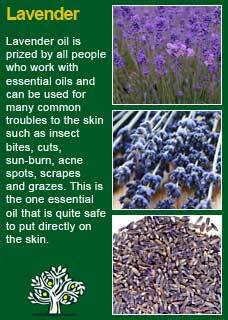 It can be generally recommended, as often as needed, to massage their belly with a little olive oil to which you have added a few drops of lavender oil. When I have the mother and/or father with me in the rooms, I show them how firmly they can work around their baby’s belly. The exact technique is less important than that you are not shy about getting in under the skin and working the cramping muscles of the gut. It will also usually help to ease their griping to firmly grasp their legs, repeatedly push their legs up to their chests and back down again, then bicycle kick them around and so forth. In terms of holding the colicky baby, every parent will try every position possible to make things easier, and there is no better teacher than experience. The main thing I would offer here is in the same spirit as the massage, i.e. don't be too delicate! Firm pressure on their belly as they are slung over your knee of shoulder is likely going to be far more relieving to them than gentle pats. It hurts because it has stuck gas and food in it and it is cramping up. Think about how it has felt when you have had a cramp in your leg and how you need to massage and move it to ease the pain. 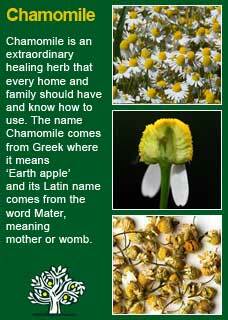 It is the same for the baby's belly, only they cannot massage or move it themselves. Undiagnosed food intolerance is clearly a major source of severe colic in some babies. If the family has any history of eczema or asthma, and the colic is coming hard and fast, then you must consider food intolerance as a strong possibility. However, it has also been seen many times that a baby with bad colic is assumed to have intolerances when they really just needed to improve their liver health and digestive function. 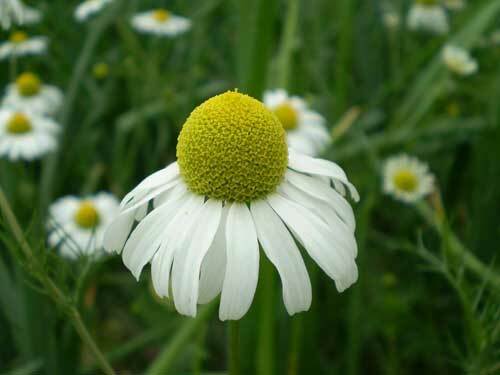 In practice, we most commonly start by giving the herbs and belly massage and then hope for a rapid improvement before we go to plan B, which is looking into food intolerances. In any case, if you have already been researching colic then you will be coming across the idea that food intolerance can cause torturous colic from numerous sources. Many people have now become aware of this possibility so there is a lot of literature and different approaches out there to read through or be aware of. For now, try to keep as calm as you can, even when the baby is crying hard and long, you can trust that there will be no lasting damage to their psyche from it! Keep as calm as you can and, when you can't, and everyone has a limit, just take a break for as long as you need. Likewise, ask for help as much as you need. Skin to skin contact and walking with them on your body in some sort of sling or carrier helps a lot of babies get through this stage. Remember, as much as it can be a true torture while it is happening, the colic will always eventually pass.